Different body types require different styling approach. What works for those who are tall can be bad for those who are short, the same can be said for those with a bulkier build and those who are slim. Clothes that flatter your body line and physical features should be a top priority. Follow this simple guide and in no time you will be a pro in combining clothes that flatter you. It’s a wrong assumption that dressing should only match skin color. Physical features and appearance also play an important role in the right dress combo. In fact, dressing for your body shape is more of a win for every guy so why shouldn’t you master this concept. There is no need deceiving yourself on how you are shaped. If you don’t like the way your physique looks, you can change that at the gym. If you think you are too fat, go on a diet regime and trim off that excess fat. However you are, if you are confident about the way you look then this guide should offer some sound advice on the proper clothes to wear. The rhomboid body shape just as the name suggest is characterized by narrow waistlines that expand into quite broad shoulders leaving the upper and lower body balanced. This is the simplest shape to dress and as long as you keep things in proportion most suits and fitted wears should match in seamlessly. 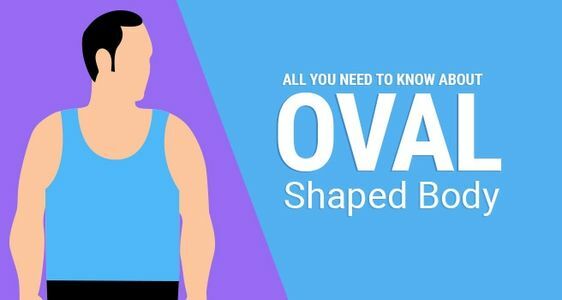 If your body shape falls into this category you are in luck. Go get yourself a beer or something. This is the perfect body for testing new trends, go ahead and experiment with clothes you will find winners. Yea, you have been at the gym preparing for the summer. Now your shape is coming out and it looks more like an inverted triangle. 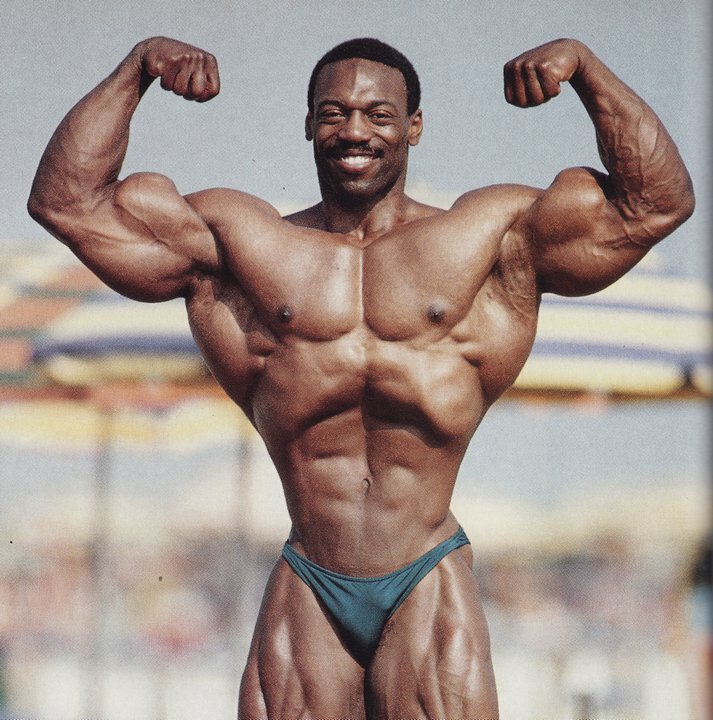 This is the V Shape body type of those who just started out in the gym. It is characterized by broad shoulders and chest but a narrow hips and waist. If you have watched Michael Phelps at the Olympics you have just seen an inverted triangle body shape. Striped tees with a special focus of the stomach rather than the chest are ideal. Stripes are ever in style and should suit this body well. If you keep the upper half neutral and use statement pieces below you would have succeeded in drawing eyes away from the chest to the stomach. Double-breasted coats and waistcoats are the most ideal formal wear for this body shape. The style helps widen the torso in proportion to the shoulders. Skin cut trousers, pants, skinny jeans and slim fitted lower half clothes will fully show the disproportionate nature of your body shape. Don’t use jackets with shoulder paddling or wide lapels. This will just accentuate the narrow waist areas that we are trying to mask. Just like the name suggests, the rectangular body shape has shoulders and waist of the same width. Although this in itself is quite easy to dress up, here are some tips to help you with the illusion of a broader shoulder. Wear padded blazers and wide lapels that are streamlined at the underarms. You will need to ask an experienced tailor to help you tailor your clothing to size. Double breasted clothing is a no-no… they accentuate the rectangular body type. Don’t layer block printed clothing. 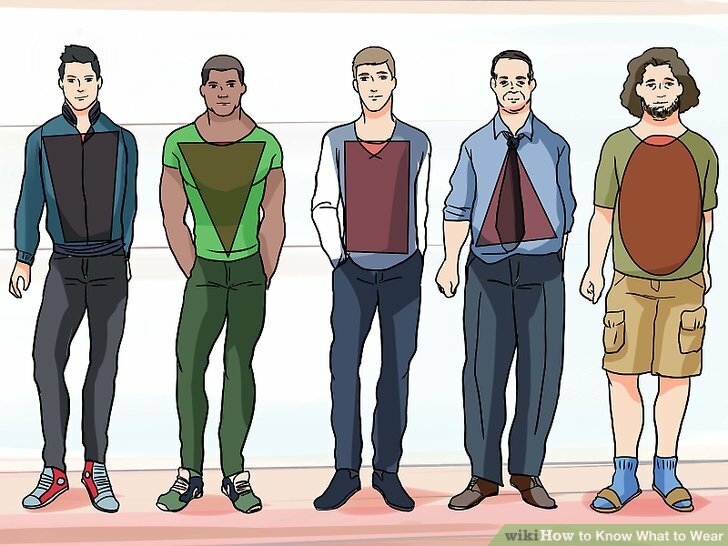 The triangle body shape is the opposite of the inverted triangle body shape. The waist regions are narrower than the chest and shoulder region. This gives you a larger appearance at the lower half of the torso. Think potbellied individuals and you aren’t far it. If you want to even things out, focus on clothes that help you appear bigger at the upper half of the torso. Well-fitted clothes can help you a lot. I cannot overemphasize the importance of a good tailor. You will do yourself a lot of good by employing the services of a very good tailor. Streamline the torso with single-breasted coats and single button down styles. Well-structured blazers are a must-have. Darker colors are more flattering than most colors for this body shape. Horizontal stripes across the stomach aren’t flattering. The Oval shape is somewhat rounded. They are the hardest to detect in a man. Here the shoulders are narrow, the legs are slimmer and with a slightly protruding stomach. Clothes that help to lengthen the torso and widen the shoulders are best suited for this body type, and boy is they hard to find. Vertical stripe shirts and pinstripe suits help lengthen the body but not broaden the shoulders. Make sure the trousers are hemmed and of the appropriate length. Use a good tailor. Fitted clothes that help lengthen the legs can help. Don’t use wide crew or cowl necks shirts. Dressing with your body shape in mind is an art, not science. Practise makes perfect. If you follow these rules you should be fine.